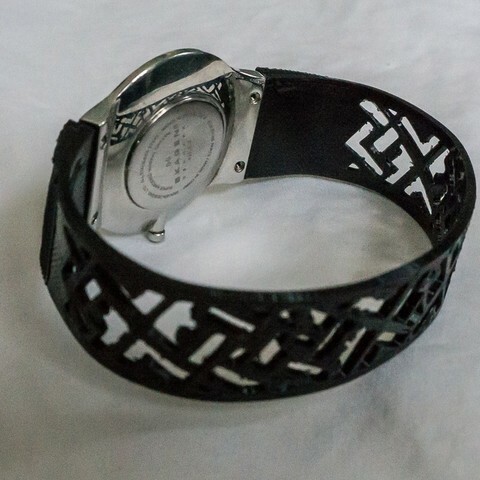 This band is designed to fit a men's Skagen watch, but the same concept could be used for any watch. 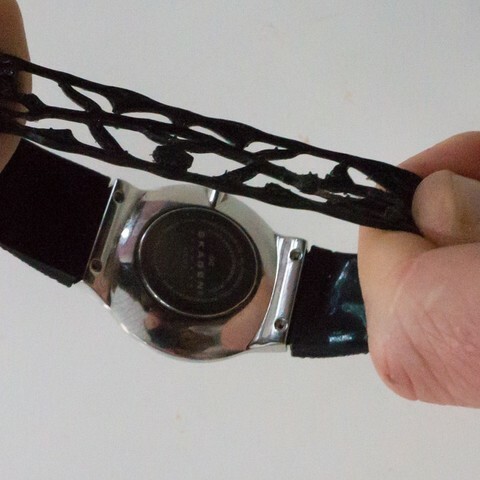 The Ninjaflex material is flexible enough that it can stretch over your hand. One piece is faster, simpler, and provides lots of room for custom designs.